Today we had a special assembly to remember the soldiers who fought at Gallipoli . Room 5 made poppies and took these to show their remembrance of the ANZACs. During the ceremony the youngest and eldest student at Stanley Avenue lay a wreath. As it was Victorias second day of school she placed the wreath under the flag pole with Damon from Room 1. 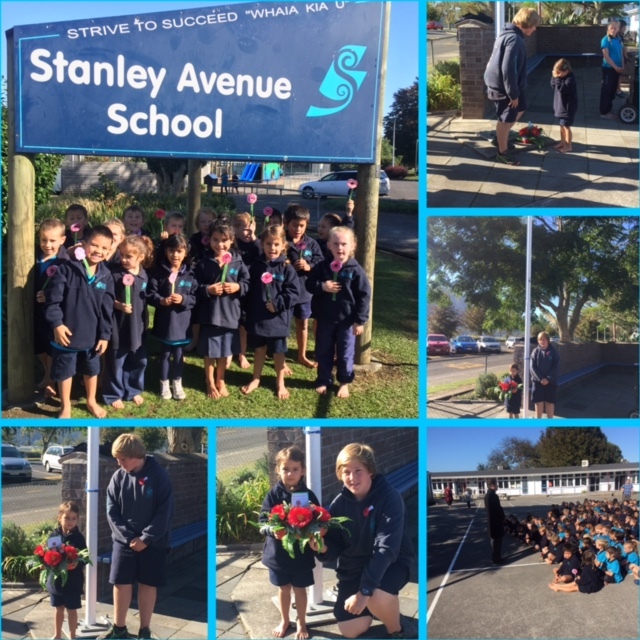 There will be an ANZAC parade in Te Aroha were Stanley Avenue students are welcome to attend. This will be at 10.30 on Anzac day.